Internet Archaeol. 25. Williams. A surface scatter survey. 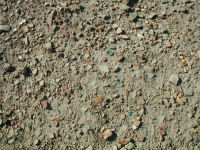 Figure 19: The modern day surface of the Sultan Kala, showing the scale and range of material, particularly ceramics but also building material, glass, metalwork, and industrial debris, lying on the surface. A great deal of material, particularly ceramics, survives on the surface at Merv (Fig. 19). A surface ceramic collection survey was conducted within the walled area of Sultan Kala between 1997 and 2001, and again in 2003 (Fig. 20 - opens GIS). The strategy was to establish an overall idea of the variations and presence/absence of ceramic material across the surface of the city. A 50m grid was established. A 20m square in the SE corner of each 50m grid was walked for 5 minutes, during which time diagnostic pieces only (e.g. rims, handles) were collected, and subsequently washed and processed. Within a 1m square, in the SE corner of the 20m square, everything was collected, washed and processed. The layers within the GIS show the outcome of this study, in the form of areas of presence and absence. No layer was constructed for 10th/11th century material as it was virtually ubiquitous throughout the whole area, including both walled suburbs.